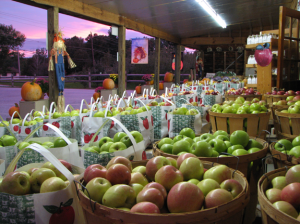 Visit our roadside farm market and take home some fresh picked apples and mountain cabbage. You can also find fresh locally grown tomatoes, potatoes and NC sweet potatoes. At our bakery you can get your fill of sweets to eat. We offer hot fried apple pies, apple cider donuts, fresh apple bread, whole apple pies, apple caramel cake, apple dumplings with cinnamon sauce, apple turnovers, apple tarts, berry tarts, pumpkin sweet potato tarts, apple fritters, pumpkin bread and cookies. 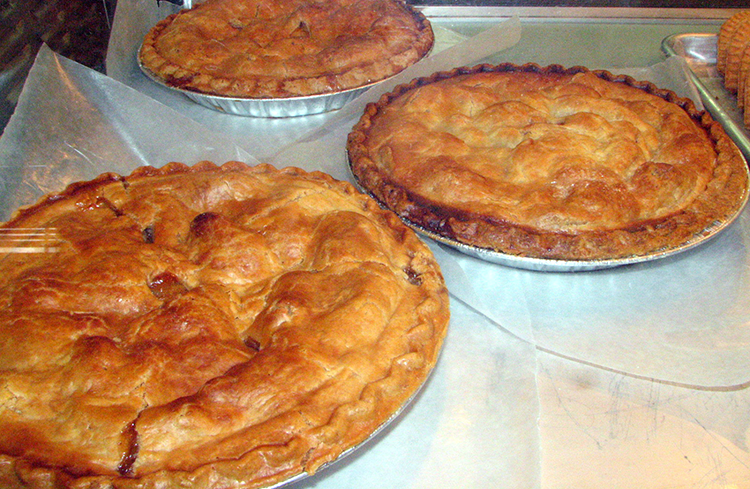 For those watching your sugar intake we offer no sugar added apple turnovers and whole apple pies. Add a scoop of vanilla ice cream to any of these for a satisfying dessert. Your visit would not be complete without a jug of fresh squeezed apple cider. If you prefer pasteurized, you can choose from apple cider, cherry apple cider, peach cider, muscadine cider, blueberry cider, scuppernong cider and blackberry cider. Pick up a jug of spiced apple cider to heat and enjoy on those cool fall days.Quinch your thirst with a cup of apple cider slush or peach cider slush. On those cool fall days warm up with a cup of hot mulled apple cider or fresh brewed coffee. If you are looking for “Canned Goods” you have come to the right place. 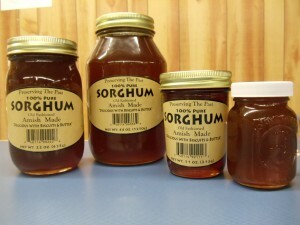 Our most popular item is Granny’s Old Fashion Apple Butter. We also offer pecan apple butter, pumpkin butter, peach butter, sweet potato butter, a wide variety of jellies, jams, preserves, pickles, relishes, syrups, hot chow chow, mild chow chow, salsa, apple cider vinegar and Carolina Bar-B-Q sauce. 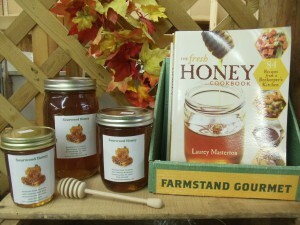 Our local sourwood honey, wildflower honey and molasses will taste delicious on hot buttered biscuits. We also have pumpkins and fall decorations, including indian corn, gourds, beautiful fall mums and scarecrows.